Description Use bows, crossbows, and deadly magic to crush the advancing goblin army before they breach your barricades in this intense medieval shooter. Upgrade your equipment and learn skills in between levels. 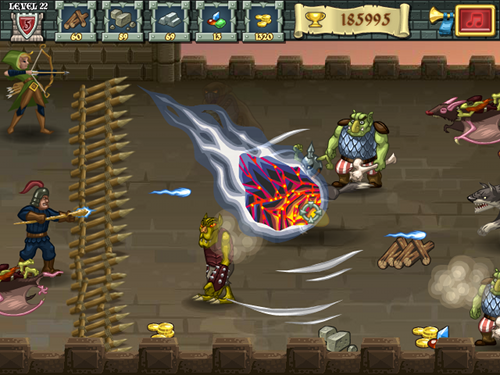 Collect ressources and buy defensive upgrades between levels.